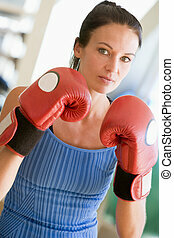 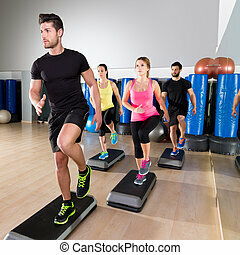 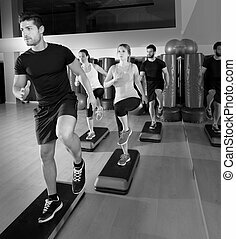 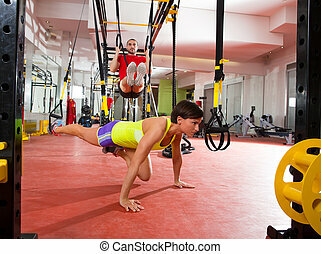 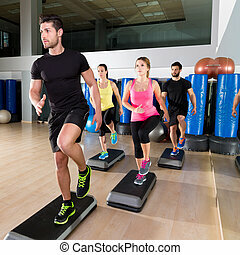 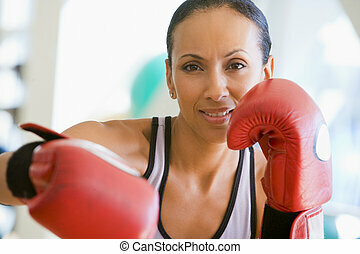 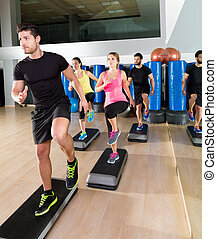 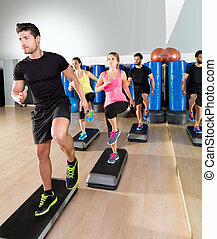 Fitness trx training exercises at gym woman and man. 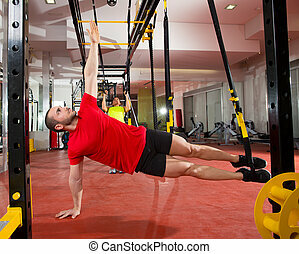 Crossfit fitness trx training exercises at gym woman push-up and dip rings man workout. 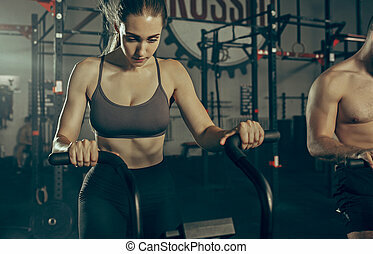 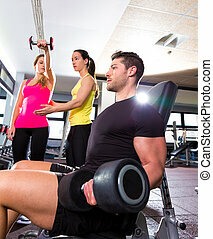 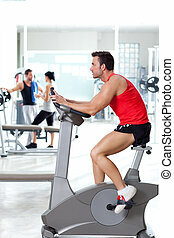 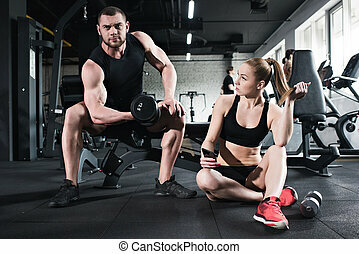 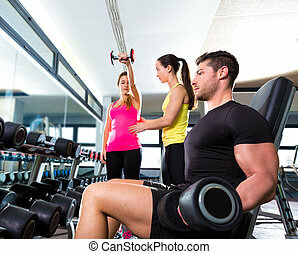 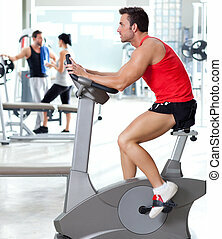 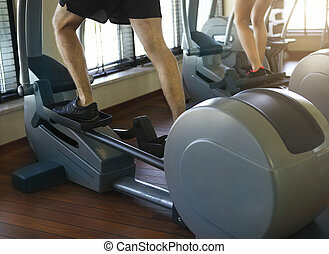 Woman spotting man lifting weights at gym. 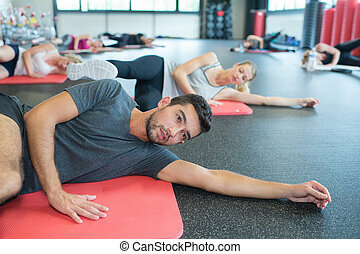 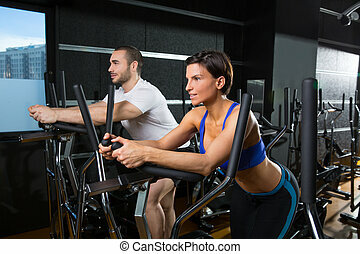 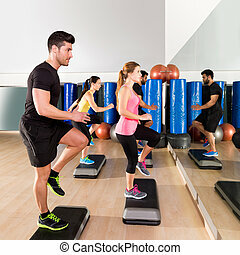 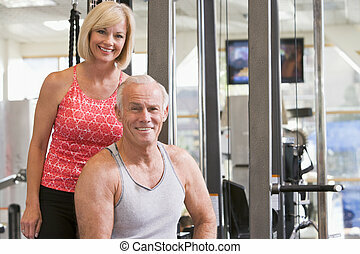 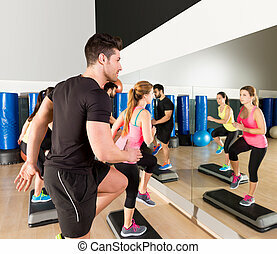 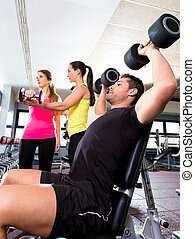 Man assisting woman at gym with hand weights smiling.